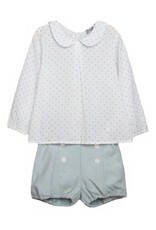 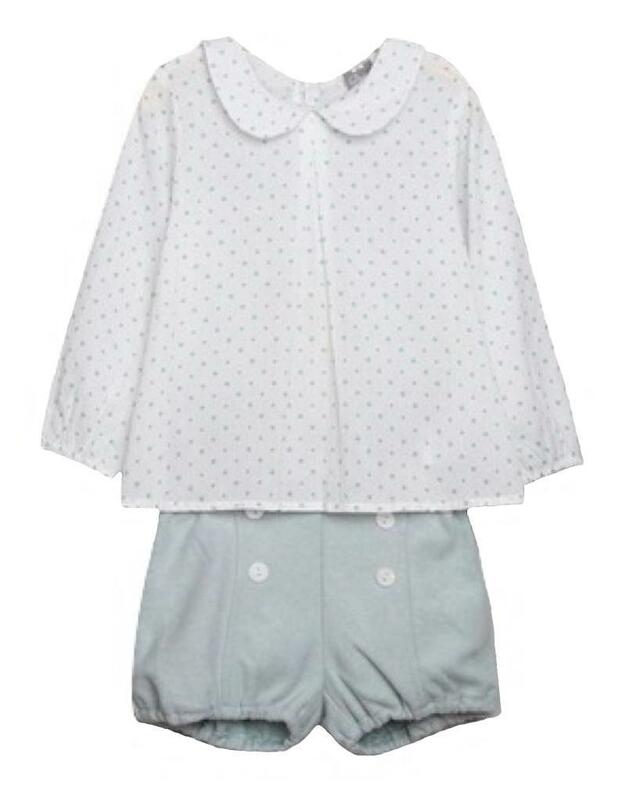 Cute bloomers set by Dadati. 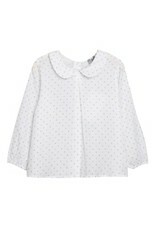 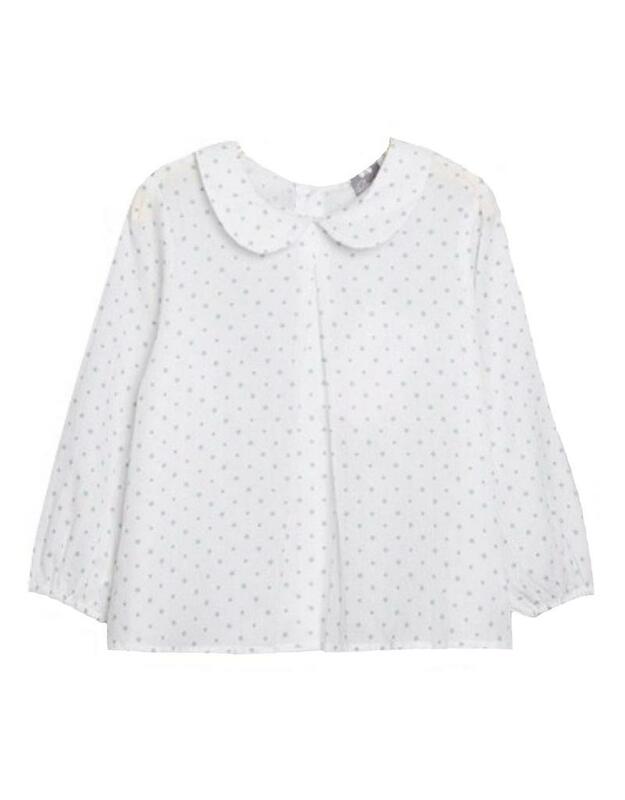 The white top has mint stars and dots, peter pan collar, front pleat, elasticated cuffs and back button fastening. 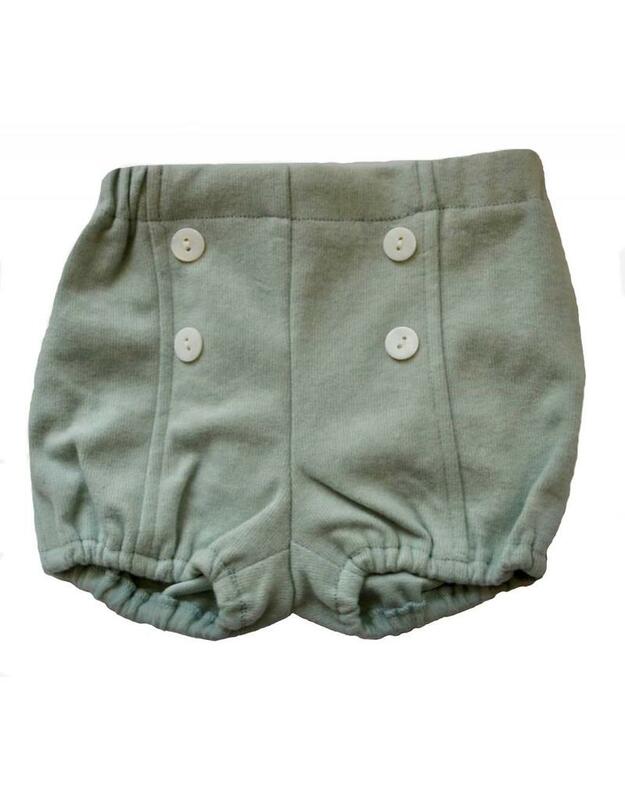 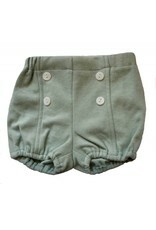 The soft velvet corduroy bloomers have four pearl decorative buttons, and elasticated waist and leg cuffs.